Despite advancements in technology that promise to help us leave the office closer to 5 pm, we’ve arguably never been busier—and more in need of some assistance. 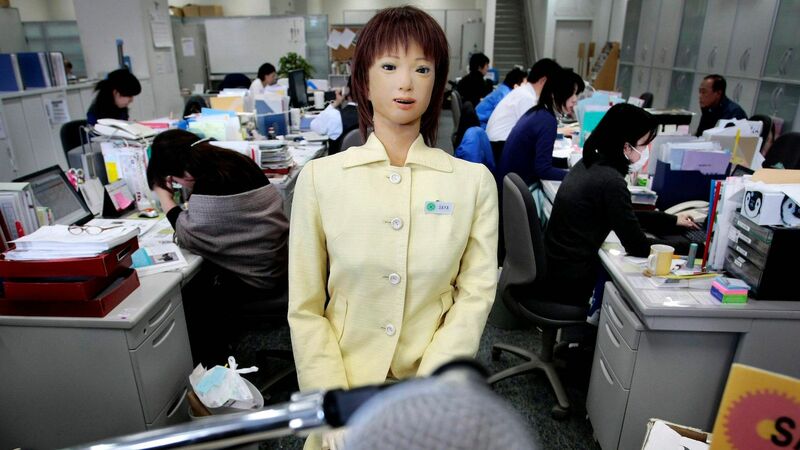 While hiring a human personal assistant for every staff member would be a logistical and financial nightmare, everyone could have their own personal AI assistant. With the ability to automate time-consuming tasks and focus more on revenue-raising work, the productivity benefits could significantly change how we operate and how businesses scale. The trick though will be how to build an assistant that works for you rather than you working for it. There’s no one-size-fits-all in the workplace, and any company that claims to have built an AI to complete multiple types of tasks will ultimately be useless at all of them. Instead, there are a lot of single-purpose products built to help people get through their workdays: x.ai can schedule your meetings, Lucy can help you with market research, and Restless Bandit automates the candidate-screening process and even reaches out to qualified people for vacant positions. But having so many different AIs assistants helping us with different tasks could become unwieldy. As these helpers become more commonplace, businesses need to think about not only how to breed these digital cattle but herd them. Will we soon have to create an org chart for robots? The products developed to assist with specific activities are indeed useful, but there’s potential to go a step further to deliver a truly personal AI assistant. The only effective way to deliver and a helper that truly assists is to have your own, configured to your role with unique abilities that are specific to how you operate.